Partly cloudy. Low 32F. Winds N at 10 to 15 mph. 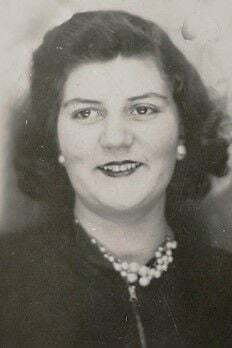 Patricia M. Reidt, 92, of Menomonie passed away Friday, March 29, 2019, at the Spring Valley Health Care Campus. She was born Oct. 9, 1926, in Menomonie, to Albert G. and Anne (Hotter) Brown. She grew up in the Menomonie area, graduated from Menomonie High School and went to work for the telephone company. She married Donavan Reidt and had one son, Timothy. Pat’s greatest joy and love was her family, especially her son and grandchildren. She was very close as well to her sister, Jean Harris. After retirement from the telephone company, Pat worked seasonally at H & R Block. She enjoyed spending time with family and friends at O’Neill Campground, during the summers. She volunteered regularly at the Paul Bunyan Logging Museum at Carson Park. Pat was very talented in crafting, including crocheting many blankets, slippers and prayer shawls that she gave away. She was as smart as a whip and could do a puzzle faster than most. She greatly enjoyed a good cup of coffee (two creams and two sugars) and a nice cookie or bar. Pat was sassy and sweet up until she passed. She will be greatly missed. Patricia is survived by her son, Tim (former wife, Darla) of Menomonie; three grandchildren, Joshua, MacKenzie and Cameron; and seven great-grandchildren. Other survivors are cousin, Robert Krause of St. Paul; brother-in-law, Tom Harris of Menomonie; and a niece and four nephews and their families. She was preceded in death by her parents, Albert and Anne; a brother, Albert L. Brown; and a sister, Jean Harris. Graveside services will be held at 11 a.m. Saturday, April 13, at St. Paul’s Lutheran Church Cemetery in Menomonie. Olson Funeral Home in Menomonie is serving the family.